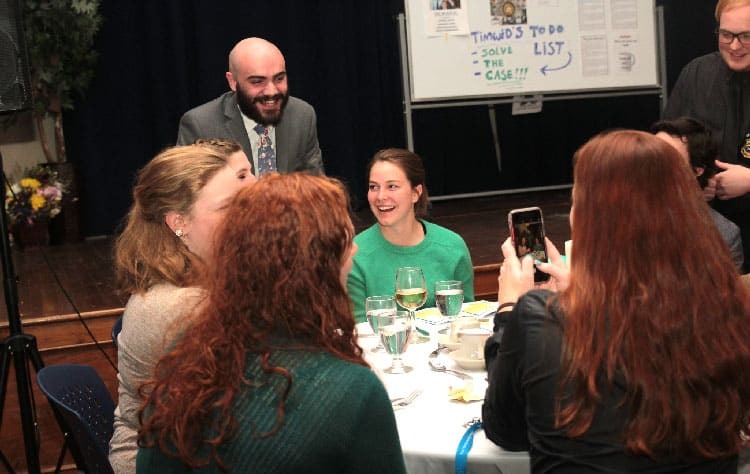 Laughter and delicious food were on the menu for audiences last week, as students wrote, directed, and acted in the college’s annual Mystery Dinner Theater. 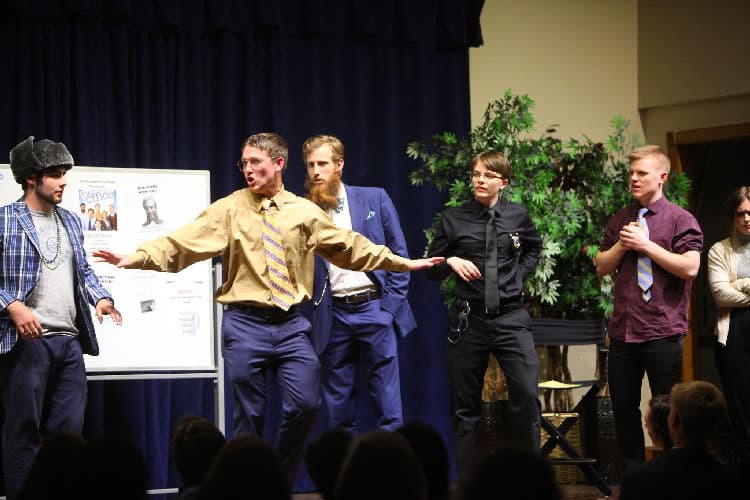 The show, performed over three evenings, was a hit with audiences, successfully raising close to $3000 for the annual senior class gift. 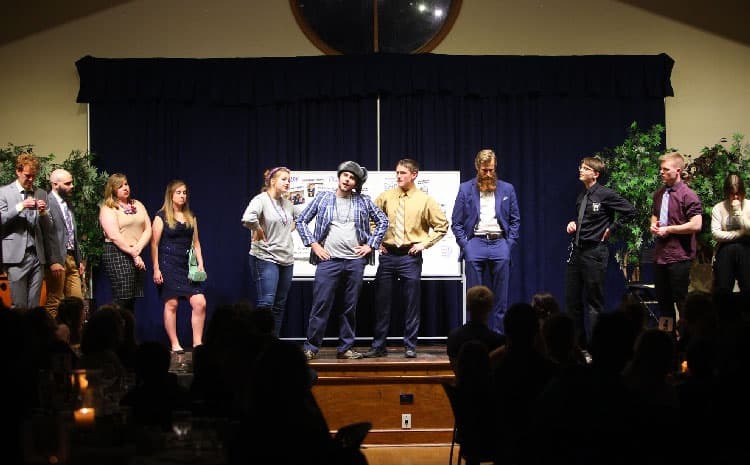 Mystery Dinner Theater is a huge undertaking each year, with members of Christendom’s senior class always directing, writing, and producing the show. This year was no different, with seniors Theresa Raabe (director), Mary Katherine Mooney (producer), and Ben Marsh and John Paul Janaro (writers) putting hours of work in behind the scenes to bring this year’s show to life. Senior Karl Foeckler spent hours preparing food with executive chef Donald Higby for the shows, resulting in food that was loved by audiences. All in all, the show was well-received, bringing in thousands of dollars for the senior class gift. So far this year, the senior class of 2019 has already raised over $6000. Their gift has yet to be determined, but past classes have given money for the construction of a scoreboard, for the overall beautifying of campus, and other such things. To see pictures from this year’s show, click here.